We left the Sea of Galilee and headed for Jesus’ hometown. We traveled, in a general sense, the route that Jesus took from his ministry base in Capernaum to his home town of Nazareth. Instead of walking along a trail (which you can do if you have the time) we took the 4-lane highway. It’s faster, and noisier, yet at one point we were reminded of Jesus’ words about a city a hill that cannot be hidden. 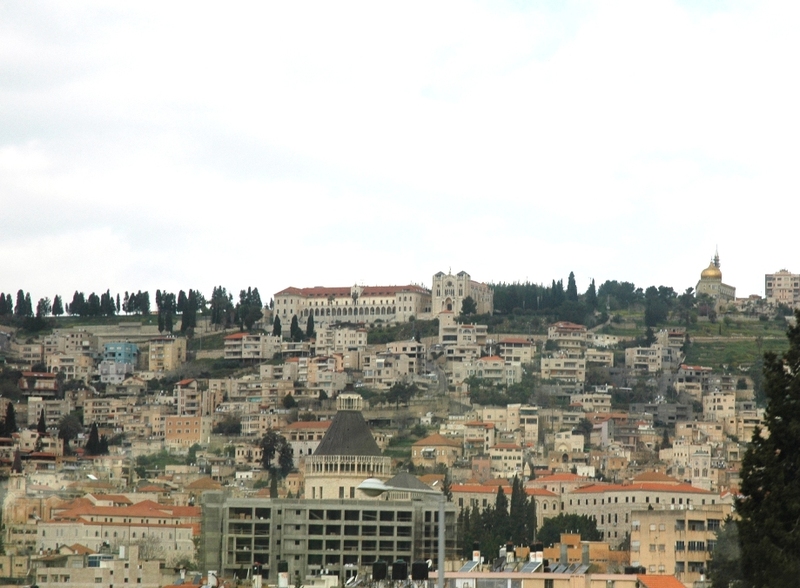 Nazareth today is a very large city. Combining Nazareth itself, and Nazareth Illit (Upper Nazareth, the Jewish city), more than 200,000 people live in the metropolitan area. We skirted the city center, with the huge Church of the Annunciation unmistakable in its presence. We didn’t stop this time. Instead we continued on to the Precipice, overlooking Nazareth on one side and the Jezreel Valley on the other side. This overlook is thought to commemorate the story told in Luke 4:29-30, where angry Nazareth residents tried to throw Jesus off of a hill. 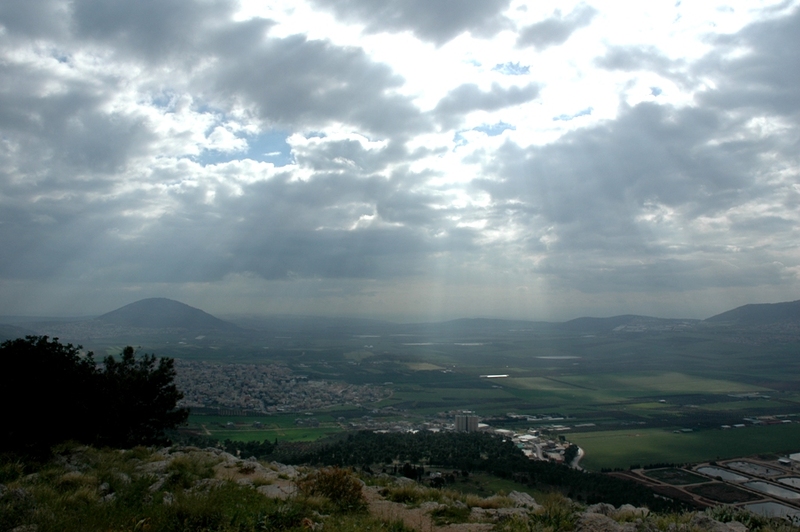 As we looked over the Jezreel Valley, sunbeams shot through the clouds towards Mt. 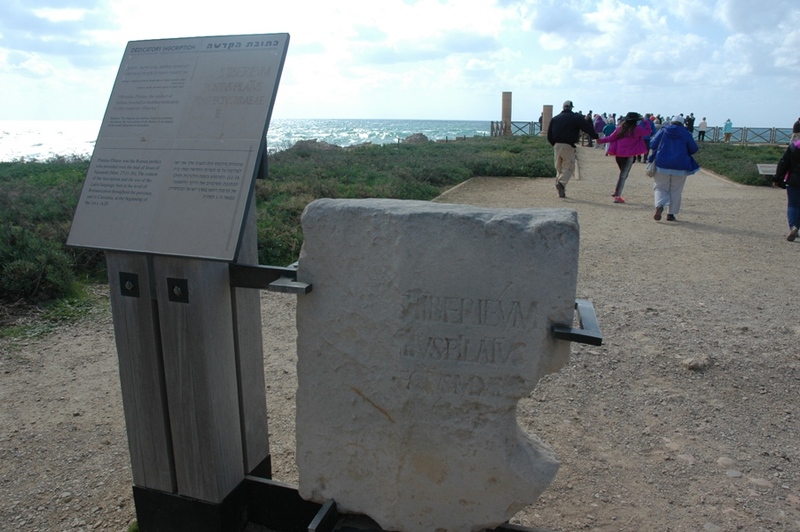 Tabor (Judges 4-5), and other biblical features came into view. Soon we were crossing the Jezreel Valley and it was the fabled Tel Megiddo that was looming on our right, with the unmistable archaeological slash down its side. 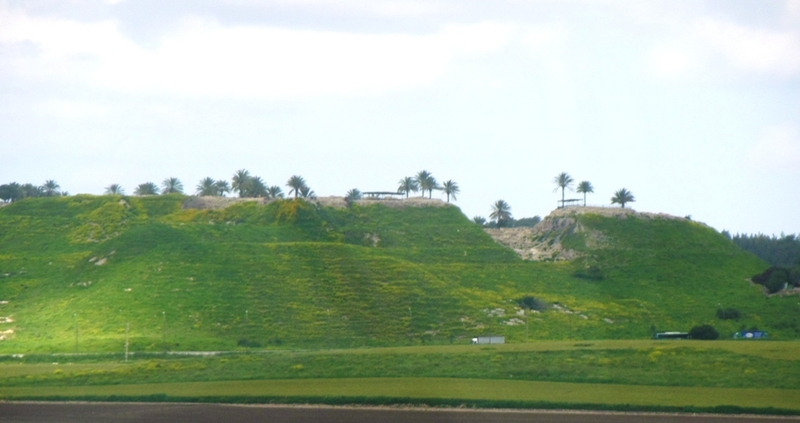 Megiddo is one of the most important sites in biblical archaeology, with 26 different levels of occupation. For more than 100 years it has been a benchmark for other archaeological sites. And work continues even to this day. This is part of the Middle Bronze Age entrance to Megiddo, dating back to the 18th century BC. Up these stairs walked people who lived in the time of the patriarchs. 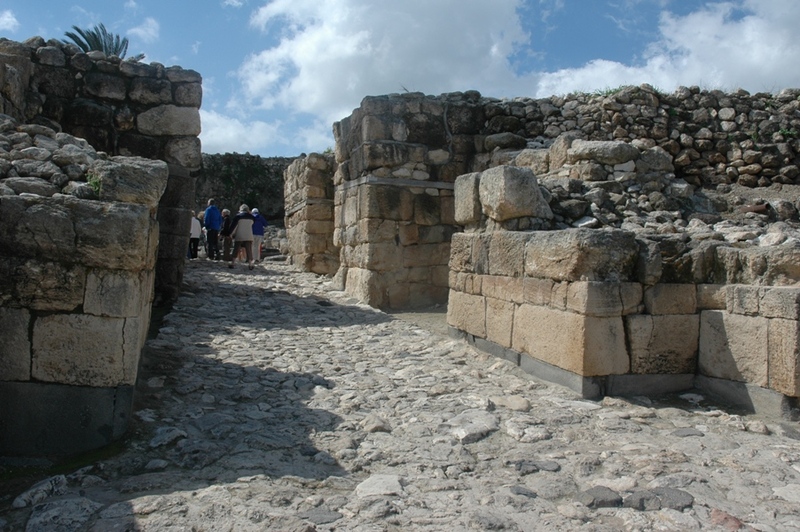 This is the later gate constructed by the Canaanite residents of Megiddo, dating to the 15th century BC. 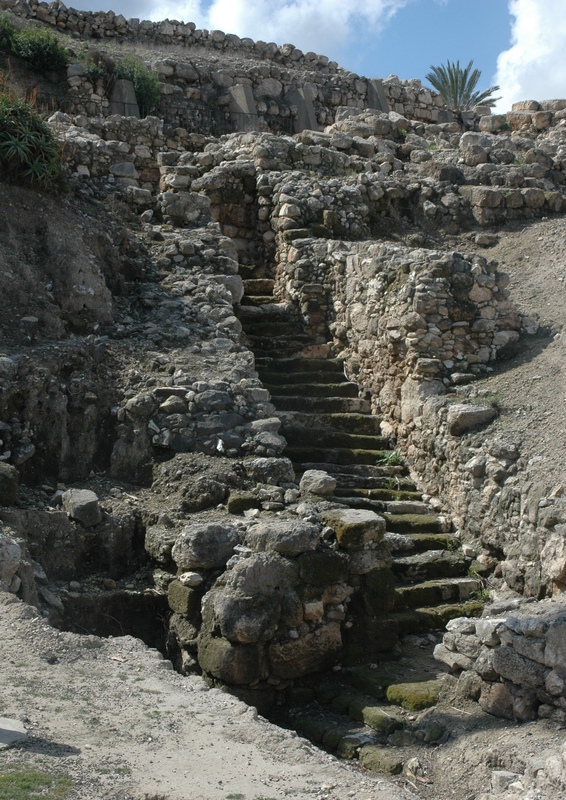 An even later gate is the Israelite gate nearby, built by Solomon in the 10th century BC or by Ahab in the 9th century BC, depending on which archaeologist you believe. 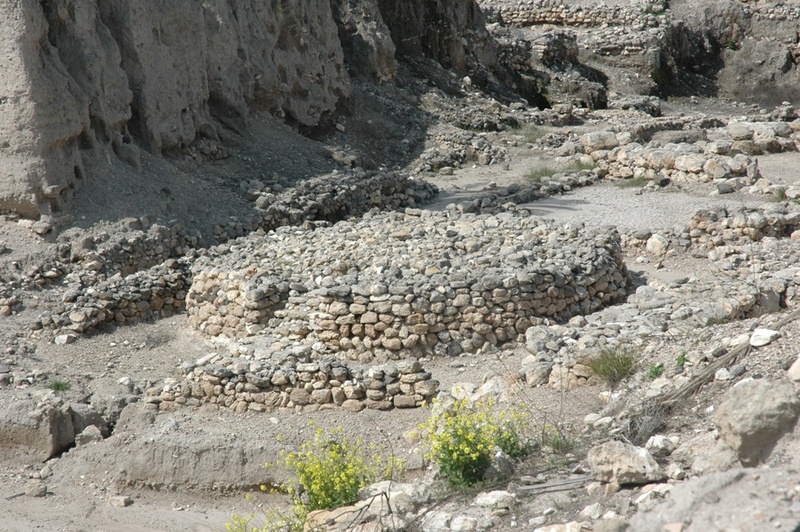 The round altar of the Canaanite temple was discovered decades ago, and remains a distinctive feature of Megiddo. Seventeen layers of temples have been excavated in this area. 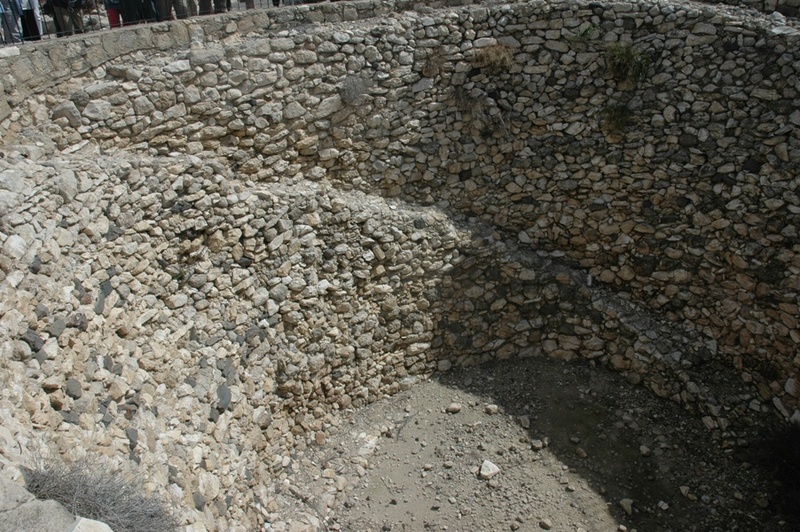 The inhabitants of Megiddo stored their grain in this large pit in the 8th century BC, when Jeroboam II reigned in Israel. 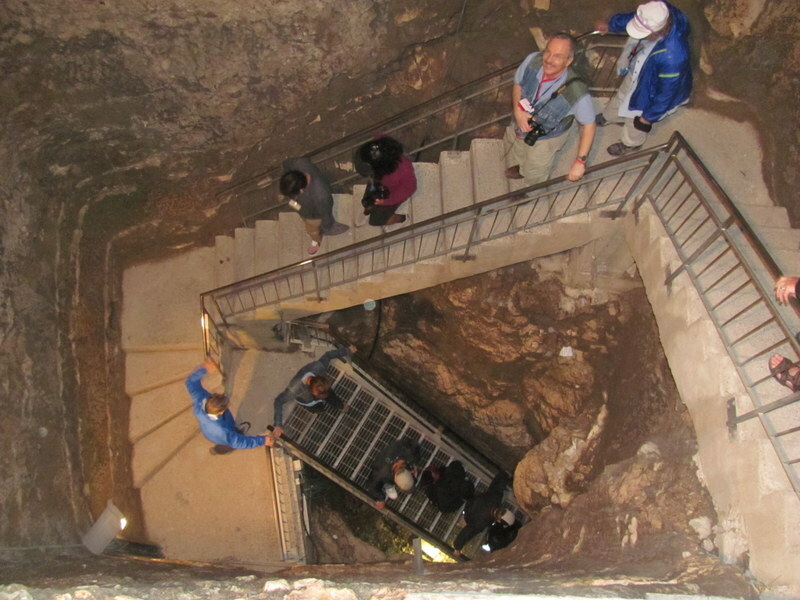 Tours exit Megiddo through the water system, 180 steps down from inside the city. 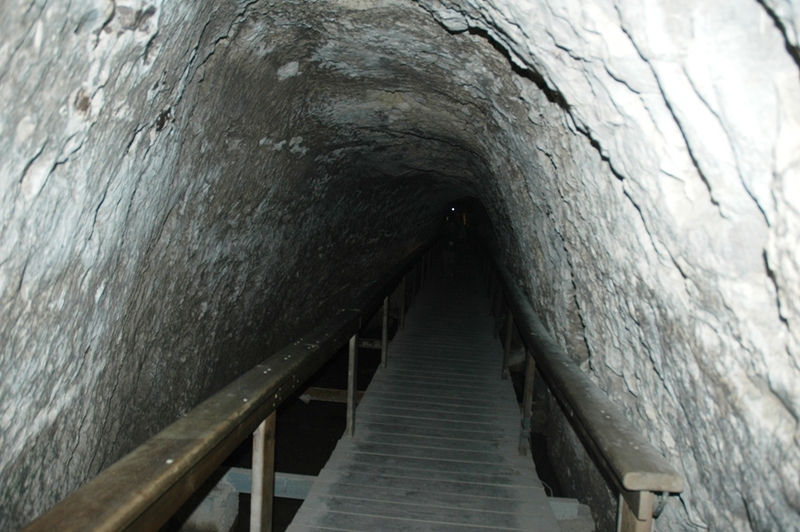 Then through a long tunnel to the spring and pool at the end, and through the exit gate. After lunch we drove through the Megiddo Pass to the coast to visit another palace built by Herod, right on the Mediterranean Sea. 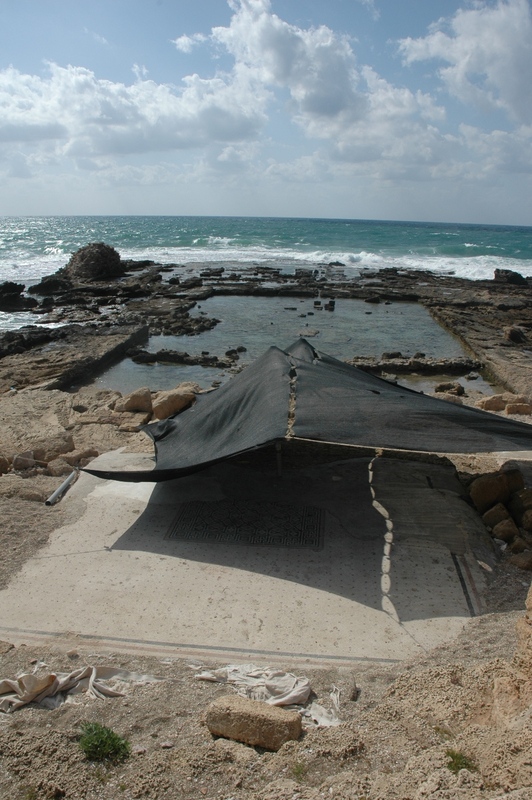 Herod’s construction of the seaport of Caesarea began in 22 BC. Some years after Herod occupied this palace, it was used by Pontius Pilate. Italian archaeologists found an inscription mentioning Pilate, this is a replica. 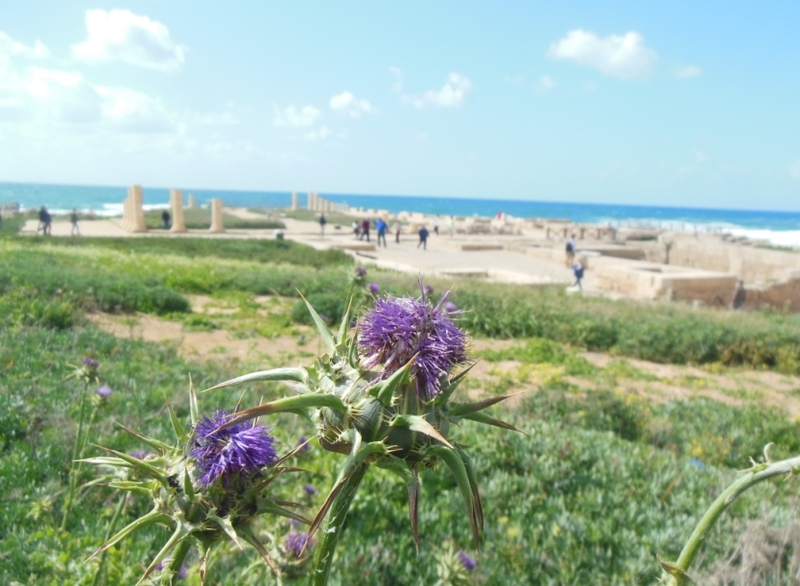 Herod’s palaces were known for their dramatic beauty. 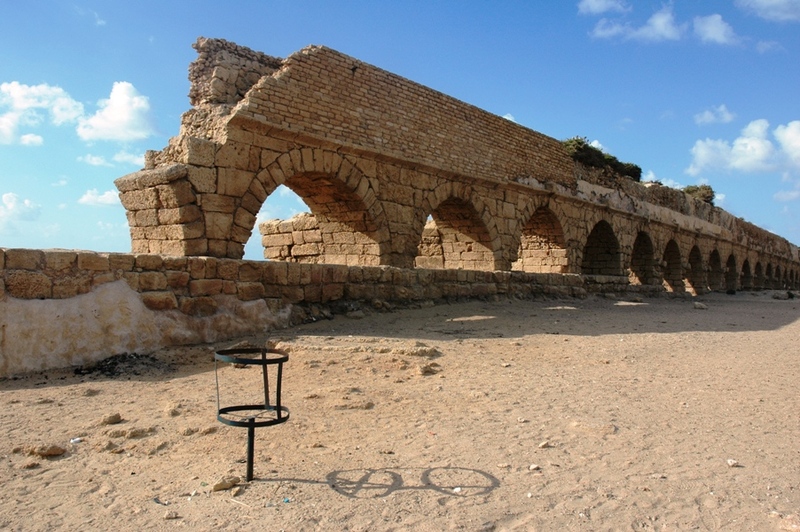 The Roman city of Caesarea received its water from mountain springs via aqueduct. 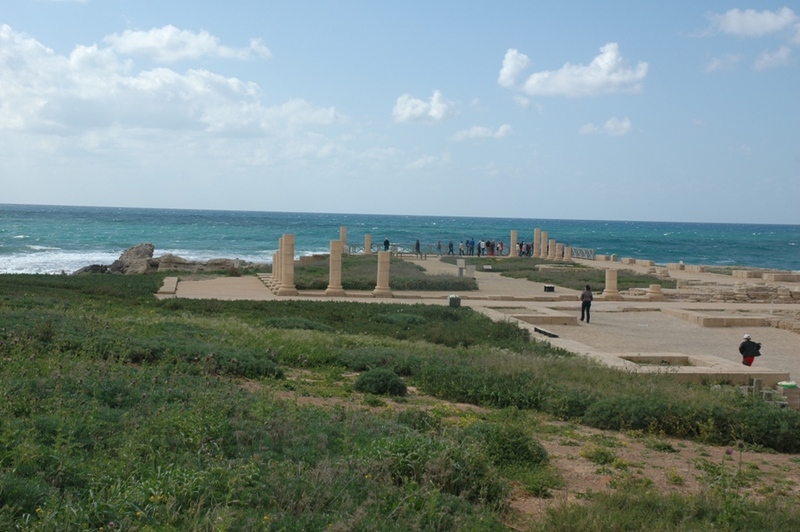 The theater in Caesarea still features musical performances. Sea breezes spread the sound into the ancient stone seats. Finally we arrived in Jerusalem. 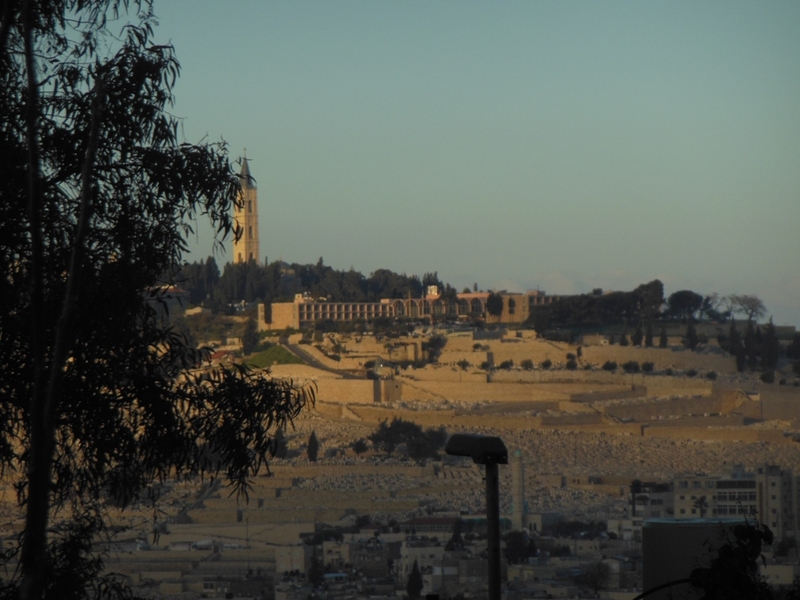 This was the view from my window at the Dan Boutique Hotel: the Mount of Olives. 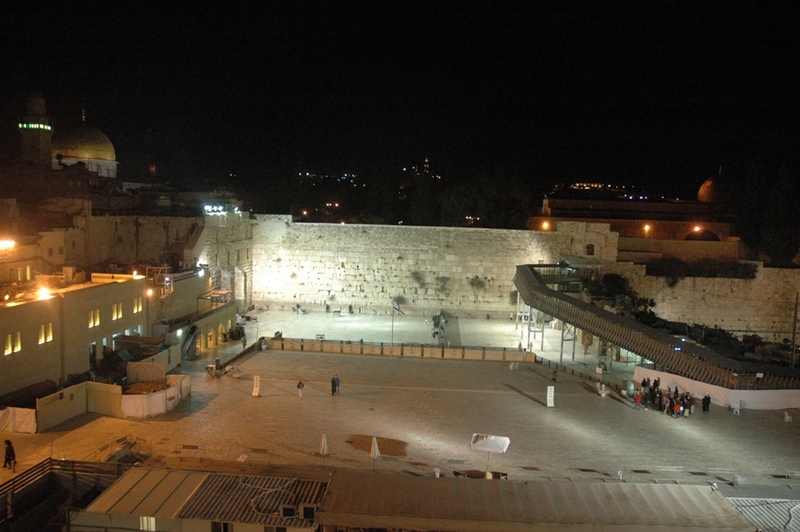 We had enough time for a quick visit to the western wall. From our viewpoint overlooking the Temple Mount, the wall is framed between the Dome of the Rock and the Al Aqsa Mosque dome. We will return to this location.